Jordan Concrete, Inc. began in 1994 established to offer the best installed products with the utmost integrity and professionalism available anywhere. Our clients range from individuals to Fortune 500 corporations such as U-Haul, Penske and NOV National Oilwell Varco. 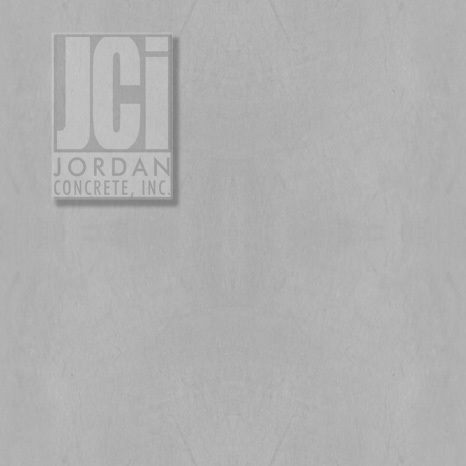 Jordan Concrete, Inc. experiences in commercial projects span the market including but not limited to manufacturing facilities, warehouses, schools, office and retail buildings, employing ACI flatwork finishers and technicians. With our hands on management, construction experience and dedication you can be assured with on time completion and quality. Jordan Concrete, Inc. is a member of the TCA Tilt Up Concrete Association. In addition Jordan Concrete, Inc. is affiliated with the NRMCA National Ready Mixed Concrete Association and a Certified Pervious Concrete Installer.